Habits are a powerful mechanism that can power our success or hinder it beyond measure. So it is imperative that we need to better understand in order to become better language learners. I don’t know if you have ever tried to change a physical habit like eating with a different hand or holding your fork or chopsticks in a different way (as I suggested that you try in that post) but there is a lot to learn from such a simple exercise. Anyone who has consciously gone about their learning will know that there are liberal doses of attention and self-control required. It is not enough just to find out about something new (about the language you are learning) from what we hear, from what we read or from a teacher; we need to implement what we discover in real life, not just in an artificial exercise. This is where many people talk about the importance of practice. However, the term “practice” and all that it implies hides all that needs to be done to transform what we found out about into an activity that we do naturally in life. 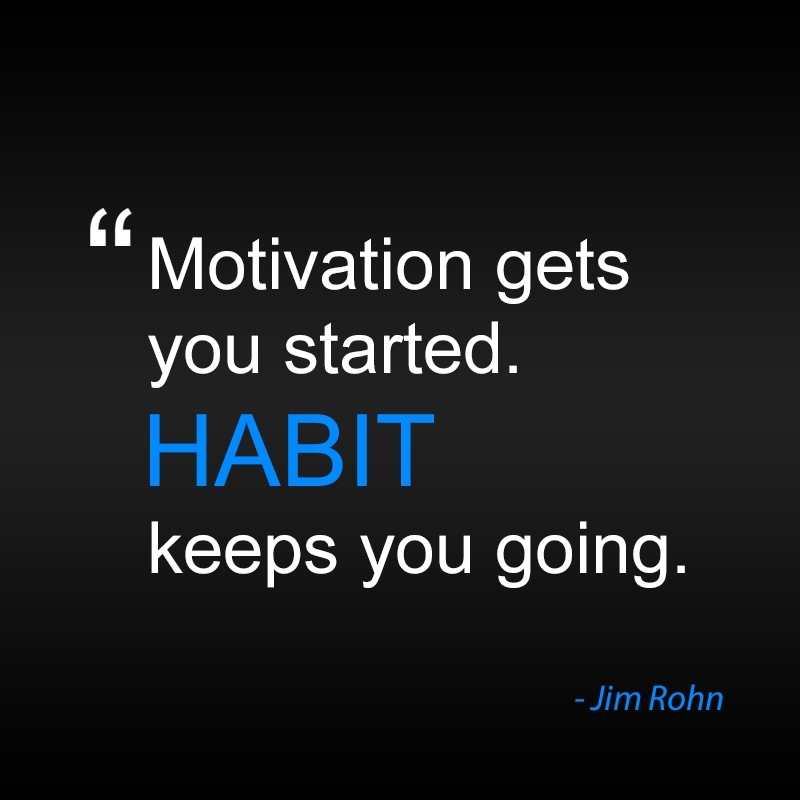 The creation of a habit is an integral part of that process. Here is where I again would suggest for anyone who wants to better understand the learning process take on to change a physical habit to gain valuable insights into what it takes to be successful in implementing change. Take it on as a game, something to have some fun with. What you learn from doing this, you may be able to read about in some books but it is unlikely to become a part of your learning, rather it will just stay as knowledge which has not done anything to make you a better learner. Without the cauldron of real-life experience, any knowledge you gain is far less likely to transform into something that can empower your learning. One of the big differences between “playing” with a physical habit of the type I talked about and language learning is that language is much more complex. So there is a benefit in doing something not so complex (as the physical exercise) so there are far fewer complexities in what you are doing. The difficulties that then do arise can more easily be seen for what they are and hence they can help you more easily and pinpointedly understand why many people find language learning so challenging. Apart from the issue of complexity, there is another issue which separates the two areas. With language, there is an added factor of having to keep looking for what we need to change. Here lies one of the keys that separate the so-called talented language learners form the ones that struggle. The talented ones, amongst other things, look for and “hear” differences between what they say and what others say. This has become a habit for them. Whereas the ones that struggle with learning a language don’t look for and can’t hear the differences or if they do it is intermittent and hence has not got the power that a habit has. Instead, they look for teachers to instruct them and for books to inform them and for tapes to train them. They don’t get that they can, if they start looking, notice differences and become aware of what may otherwise escape their attention. This then forms the necessary raw material for learning, the material which they could use as a basis for adjusting what they say and do. This is what they need to habituate so they too can become talented! By being better able to understand the nature of habits and how they are created you will gain valuable insights into how you can transform this raw material or any that you come across by any means, into learnings, learnings that will enable you to become a more successful language learner.